Algeria’s ailing President Abdelaziz Bouteflika is to seek a fifth term in April elections, state media announced Sunday, despite health issues that have kept him largely out of the public eye for years. The 81-year-old head of state, in power since 1999, declared his widely expected candidacy in a message to the nation that Algeria’s official APS news agency said it would release later the same day. The president said he would set up an “inclusive national conference” to address “political, economic and social” issues and “propose an enrichment of the constitution”, APS reported. 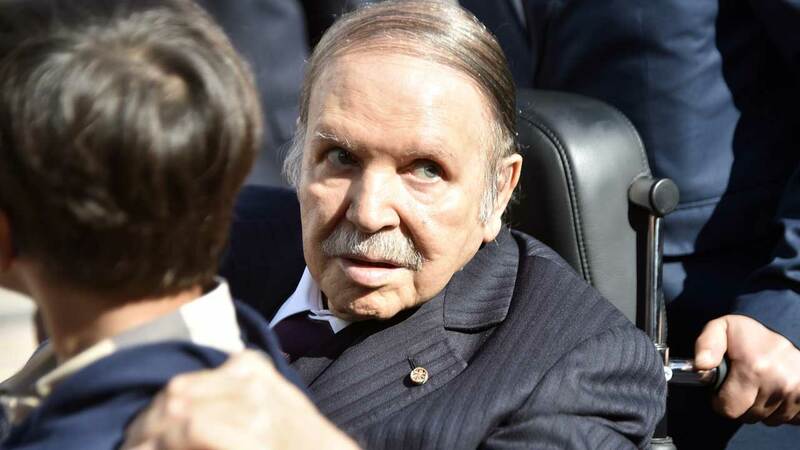 The country’s ruling coalition — which includes the president’s National Liberation Front — lent its backing to Bouteflika earlier this month. Prime Minister Ahmed Ouyahia has said Bouteflika’s health was not “an obstacle” to performing presidential duties. Algeria’s main Islamist party, the Movement for the Society of Peace, will also take part, backing its candidate Abderrazak Makri. It has said Bouteflika would be unable to handle the demands of another term in office because of ill health. The country’s oldest opposition party, the Front of Socialist Forces, announced on January 25 that it would not field a candidate and called for an “active, intensive and peaceful boycott”. "The leader of a local extremist group that carried out the bombings was one of the suicide bombers,'' the minister told a press conference. Amade Abubacar and Germano Daniel Adriano were detained for allegedly instigating violent crime. Indonesia's former Social Minister, Idrus Marham, on Tuesday received a three-year sentence after being convicted for receiving bribe amounting to $169, 600. "We are forced to protect our interests and strike back,'' Medvedev said.